Rescue vehicles are a big hit in are house at the moment. Both sons love cars even at 7 and 5 and my daughter likes playing with them too. Also with the amount of rescue vehicles we have seen this week there has been alot of role play revolving around our emergency services. 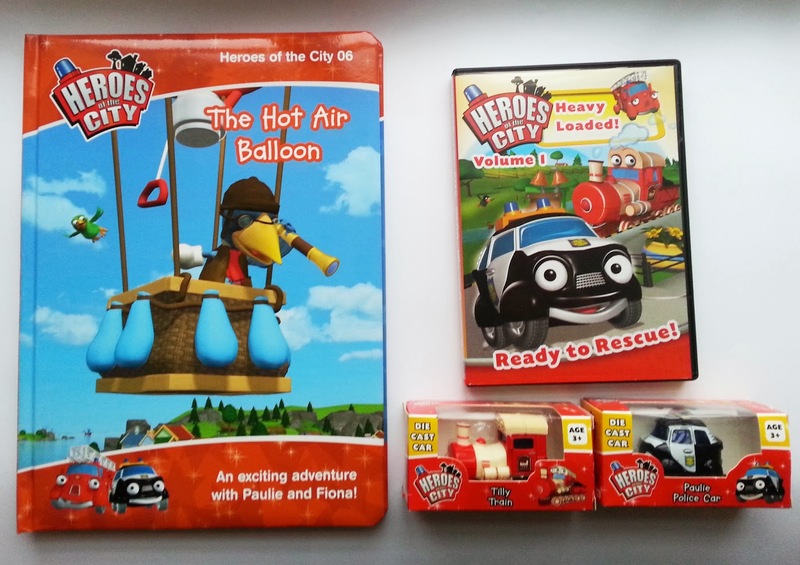 Heroes of the City is a television cartoon about rescue vehicles in a small town where everyone can be a hero. Meet Pauli Police Car and Fiona Fire Engine as they help the townspeople find thieves, put out fires, and solve one of the many mysteries that happen in the otherwise quiet town. You will also get to know Calamity Crow, the most unlucky bird in town. Emphasizing friendship, Heroes of the City contains a great deal of warmth and what may be accomplished by helping each other. The cartoon is primarily targeted at children age 3 – 7. Not only that you can play along with the apps available on itunes or Google play which I have to admit do look pretty fun! For my son who turns 3 next month! This is for my friend Emma who has very recently had a baby girl! My little lady would love this, she has recently become a big 'Heroes in the City' fan. My nephew, he would love this.